Posted byAtulHost	 6th Jun, 2018 17th Apr, 2019 Leave a comment on How to Repair Your Credit Score? Any defaults on your loans, most usually student loans, car loans or mortgages should be fixed as soon as possible. The damage to your credit score due to these mistakes is huge and remains on file for up to seven years, preventing you from getting the best from your finances. This includes taking on personal loans, getting a better APR through consolidation or refinancing and affecting your credit card rates. Here are a few ideas on how to fix bad credit. Credit score repairing begins with credit reports. Thus to assess the amount of damage you have to repair, you should know your baseline. Ask for a copy of your reports from each of the three bureaus (Equifax, Trans Union, and Experian). You are entitled to one free report each year,and you’ll have to pay for the next ones. Don’t get alarmed if the numbers vary slightly (a few points) but get defensive if the differences are significant. Use the credit reports as a roadmap to learn about what hurts your score right now. Start with accounts in collections or long overdue debt. Take advantage of online services which offer direct dispute tools. If you have any liability sent to collections you can pay the provider in full, remove the debt and then dispute with the middleman to get your money back. The same logic applies to payments that were reported late, although you were on time. Since your payment history makes up 35% of the FICO score, it’s worthwhile to get it right. Have all the required paperwork at hand. You will be required to use it as proof. Some of the harshest situations when it comes to debt is a car repossession. Not only that you are left without the vehicle for which you already paid a part of the price, but you become persona non-grata for lenders everywhere. If you are in this situation, learn more how to remove repossession from credit report, since this is not a straightforward process. If your default is related to student loans, you can get out of debt either by paying in full or consolidating your debt. Since most people who end up on the blacklist don’t have cash lying around that they just choose to spend on something else, it’s safe to assume that consolidation will help. You can either consolidate your defaulted loan with a non-defaulted one or make three consecutive payments to prove you can be trusted. You need to walk the fine line between diligently using credit and abusing it. Simply put, try to keep your utilization ratio below 50%, which means that you only use less than half of the money you can be entrusted with. Juggle with the numbers by paying off some of the balance or opening up new credit cards. Both these actions will decrease the utilization rate, either by increasing the total spending limit or downsizing the amount owed. A tip is never to close your oldest credit card since that one gives the length of your credit history which is a ranking factor for your score. If you need to do some cleaning, start with the new ones. 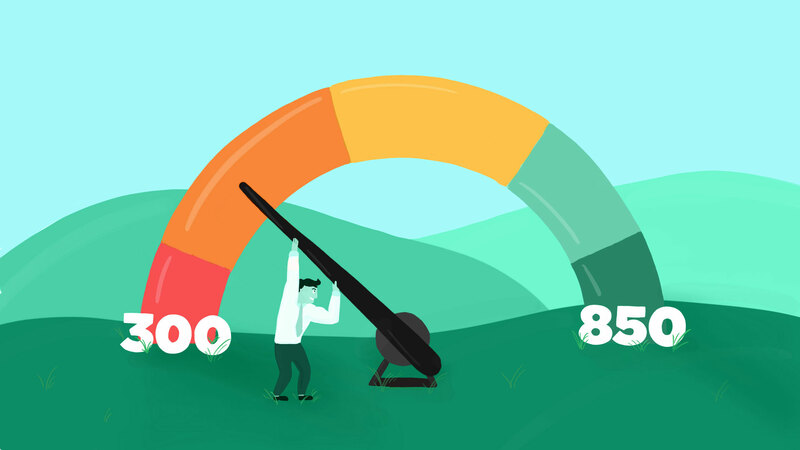 Playing the credit score game right is all about organization. You need to be diligent with your budget, designate the role of each credit card according to their spending limit and utilization and keeping track of bills. Luckily there are a lot of apps that can help you stay on track, although some old-fashioned pen and paper methods can be equally rewarding. To conclude everything, “repairing” a credit score is more about fixing errors in your credit history (if they exist) and then improving above to maintain it consistently for a good credit history. Raising for a better scores after a bad remark on the report or building credit for the first time will take a lot of patience and discipline. Why Getting an Estate Loan Could Be the Best Thing for Your Startup? What is Good Typing Speed Per Minute?